I am not a huge fan of Bloody Mary's. I don't really know why. I like vodka. I like tomatoes. But the two together in liquid form just doesn't ring my bell. I was thrilled to find this recipe for Bloody Mary dip. Directions: Puree until smooth in blender or food processor. Chill before serving. 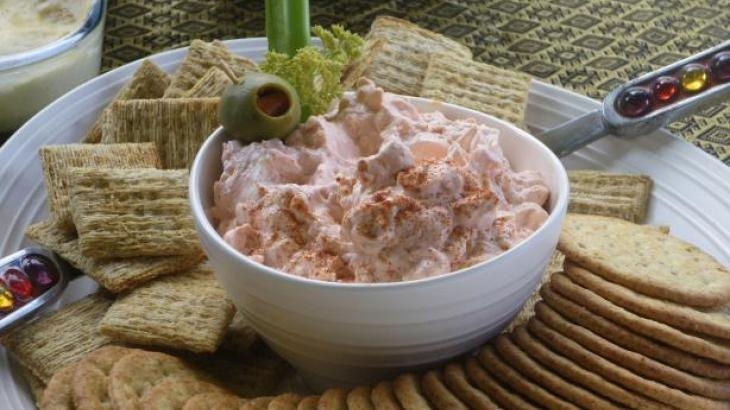 Serve with carrot sticks, celery, or any type of cracker. This dip goes well with a lot of different breads too. totally agree, i hate bloody mary's but the flavors could be great in a dip! I am glad I am not the only one Lauren. The dip is very good. I think you might like it.